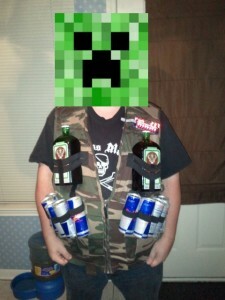 New threat to sobriety: Arduino powered JagerBomber costume! I don’t know why I can’t flip this image. It’s cursed. 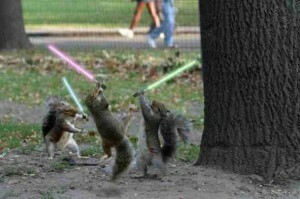 I couldn’t find a picture of an IBM server with the LCD so here are some squirrels. We managed to unearth an old IBM RS/6000 server at work and decided that since the machine didn’t work, it was time for it to go away. Right off the bat, one of the things I noticed about this machine was that it had a diagnostic LCD panel in the bezel presumably for showing POST error codes and warnings. Since the machine was going to the scrap heap, I decided to relieve it of the LCD and managed to get it to work on an Arduino with minimal effort. 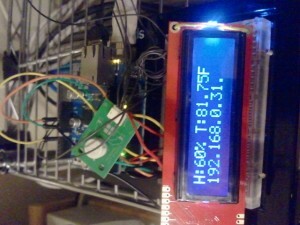 Read on for pictures and a wiring pinout. Have a giant Arduino powered killbot, but can’t fancy being right next to it when you unleash it on the unsuspecting populace? Want to change the mood-lights in your dorm without having to get up off the couch? Why not use IR remote controls to do the walking for you? 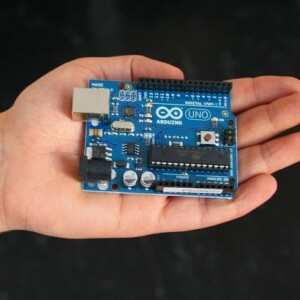 In this article, I will be covering how to use the IRremote Library written by Ken Shirriff for the Arduino to control a seven segment display as a proof of concept. Killbot not included. Ok, so here’s the deal. 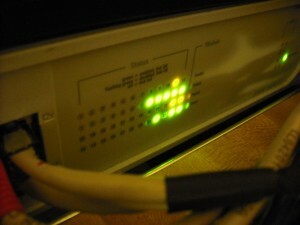 I’ve been on the fence about whether or not to black out my site in formal protest of SOPA but after talking with several other website owners and operators and consulting with a lawyer friend of mine, I did confirm my worst fears. While SOPA may be “well intentioned” to be a fight against piracy, the law is so vaguely written that it would allow anyone to shut down any website with little to no recourse or any due process. As a self-generating content site, (I write my own articles and most of my images are hand-taken. Those that aren’t are linked and used with permission from the original content owners or with permission from the parent company.) this is seriously a threat to my sites’ existences. If I posted a bad review of a product didn’t like it, under SOPA, they could scream that my site was enabling piracy and they could effectively steal my domain without any due recourse. I could not petition to get my domain back, nor could I do anything else legal about it. All of my hard work on this site would have been wasted and even worse, under SOPA, they could even make it so I would lose all of my webhosting in its entirety. I am opposed to any legislation that is written so vaguely and allows the indiscriminant shutdown of any website on the allegation of piracy. I oppose any legislation that makes my ISPs the “police” of the Internet. I oppose any legislation that allows others to take control of my domains without due process. If you are to charge me with something, you had best be prepared to defend yourself. Other sites have taken notice. Google, Reddit, The Electronic Frontier Foundation, Mozilla, and many others are joining in the protest tomorrow and I am going to be one of them. We must send the warning to Congress that this must not be allowed to pass as it will destroy the Internet. Essentially, this will turn into a witch hunt, where everyone is guilty. I understand that some of you may not understand and that some of you will be upset, however I will return on January 19th and I hope you will continue to read my site.